Planning for Thanksgiving is a great investment of your time, because it pays off with a fun, stress free day with your family. 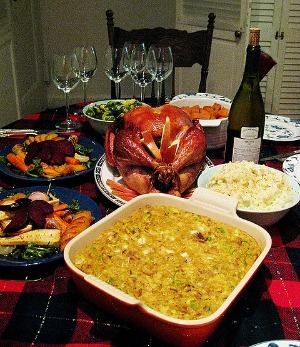 See the steps to take this week to enjoy Turkey day this year. 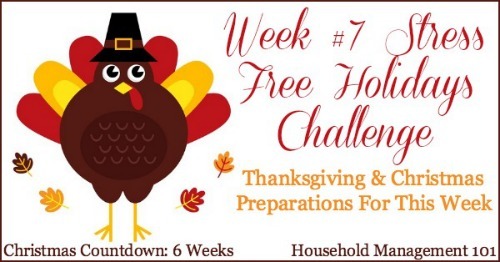 This is already week 7 of the Stress Free Holidays Series. Can you believe how time has flown by? That means there are only six weeks left until Christmas. Do you feel prepared for both holidays? This week we will again be focusing on Thanksgiving a lot, because it is getting closer, with just a little Christmas preparation thrown in for good measure. Last week, as part of our planning Thanksgiving tasks I asked you to get your Thanksgiving decorations out, and also plan for decorating your Thanksgiving table. 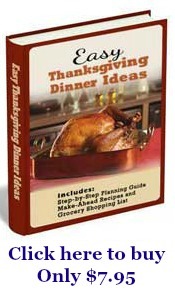 Basically, this week, as part of planning for Thanksgiving, we are just expanding this preparation a bit more. First, in regard to your kitchen, make sure it is ready for you and family members to cook a big meal in. 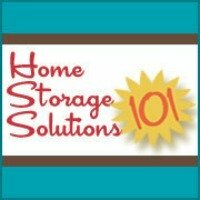 This may mean for you that you should organize and declutter your pantry, clean your oven, clear off counterspace to work and cook, or empty your refrigerator of old or unused items. Sure, you'll have to do some kitchen cleaning closer to the big day too, but if you get these bigger tasks out of the way now you can do that clean up more quickly. Plus, these steps will help you enjoy more room to cook a big meal, especially since you will likely have many helpful hands in the kitchen and they will need space too. Similarly, now is the time to do a big housecleaning blitz to get ready for company. Make sure you focus on the areas where your guests will be, such as the kitchen (already discussed), dining room, living or family rooms, and don't forget the guest bath and guest room. If you know guests are coming make sure you have fresh clean sheets, towels, pillows, blankets, etc. for them to use. Preparing these items now won't be too much extra trouble, and will keep them comfortable without having you running around trying to scrub the toilet while also basting the turkey. Not a good combo! If you need a reminder of what you should clean throughout the house, or (hint hint!) if you want to assign others in your home to help with these cleaning tasks, make sure to read my list of tasks you should do to get ready for guests, even if your house is currently messy. 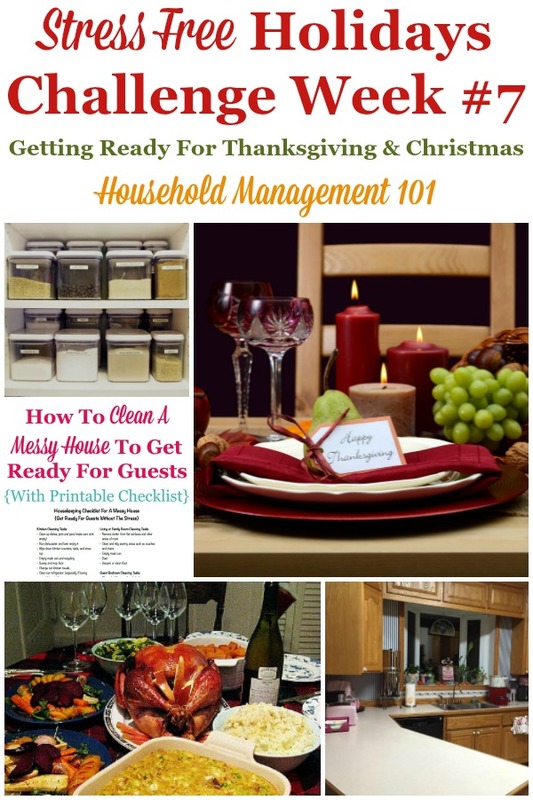 You can also check out this article about how to prepare your home for guests here. In addition, make sure to consult your Thanksgiving countdown checklist to get the big picture of what you should do each week to prepare for the big day without stress! 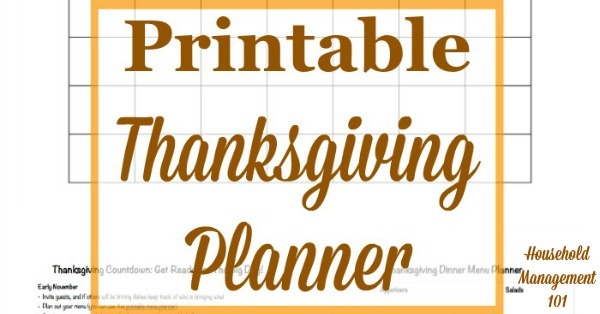 Also, if you haven't created your Thanksgiving planner, go ahead and do it now. Mainly this week we are planning for Thanksgiving day, since it is getting close, but don't forget about the Christmas season which is right around the corner. I walked into Wal-Mart this weekend and there was a big Christmas tree right inside the entrance, so you know Christmas is coming. Things can get crazy around the holidays, with extra parties and activities to go to. These can take away your normal time where you cook your meals. So, this week, before doing all your cooking for Thanksgiving, is a great week to double up on some meals you are going to prepare in the evenings anyway, and freeze the doubled portion to eat later. That way when you are running around trying to get ready for your friend's holiday open house you don't have to worry about cooking dinner too, but can just pop your freezer meal in the oven and have a good home cooked meal without the stress. I would love to know how you're doing on this week's challenge. You can share your successes and your setbacks below in the comments and maybe I or another reader can help you, or cheer you on with motivation and support!